Bose’s New AR Glasses Let You Control Music With Head Nods #WearableWednesday « Adafruit Industries – Makers, hackers, artists, designers and engineers! Audio equipment company Bose has announced a new augmented reality wearable designed to “add an audible layer of information and experiences” to your everyday life. 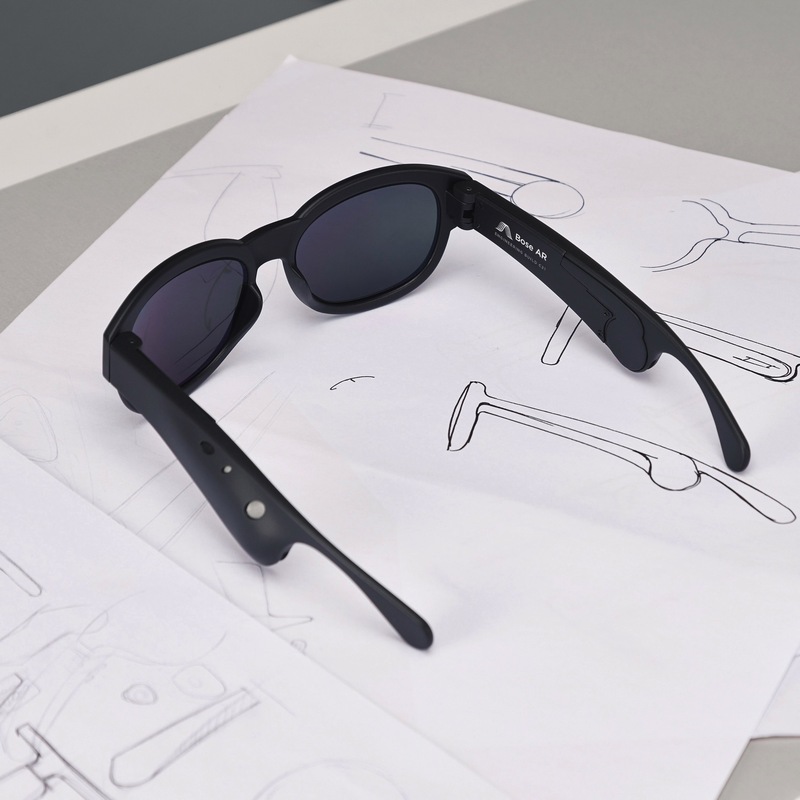 The first product in the Bose AR platform is a pair of glasses that lacks a camera or integrated lens (a la Google Glass) but instead features “a minuscule, wafer-thin acoustics package” that give the glasses headphone-like sound and functionality. The glasses pair to your phone and allow users to use head motions to control music or scroll through playlists. Bose AR products are still a long way from hitting store shelves—the glasses are currently a prototype—but the company says they’re already collaborating on integration with companies like Trip Advisor, Strava, TuneIn, and Yelp.